The Tuesday before Thanksgiving my husband offered to take me to see the new Magnolia Market (it was all his idea too!). Of course I was on board. I have visited the other shop on Bosque twice and had been looking forward to the bigger store at the silos. The new store did not disappoint. 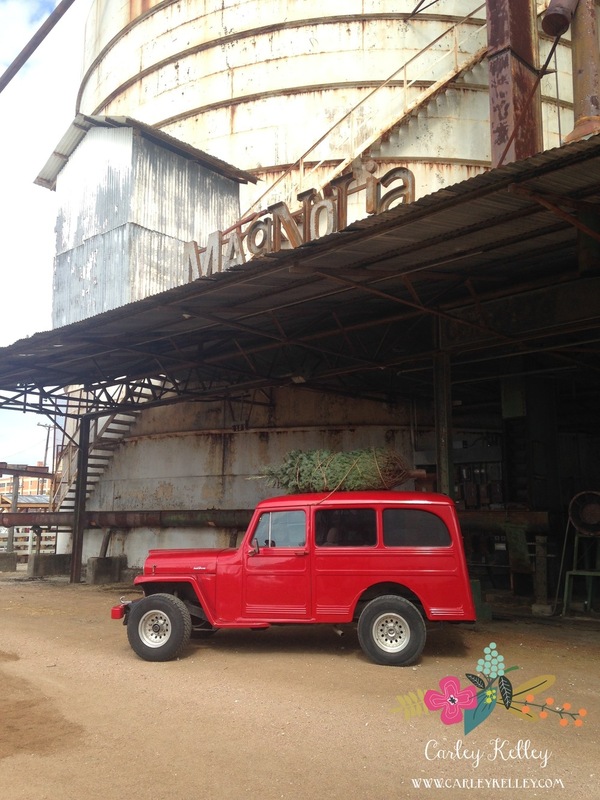 It is much larger than the previous location - which means more of Joanna Gaines goodness all around. I loved wandering through the store and looking at all the different displays. I found some great Christmas decorations too. My favorite is this tiny tree farm set that I used to add some Christmas cheer to my year round decor. After making several rounds through the shop we were ready for lunch. They have an awesome outdoor area with several different food trucks. We were blessed with a beautiful 70 degree day so it was perfect to grab lunch there and eat outside by the silos. 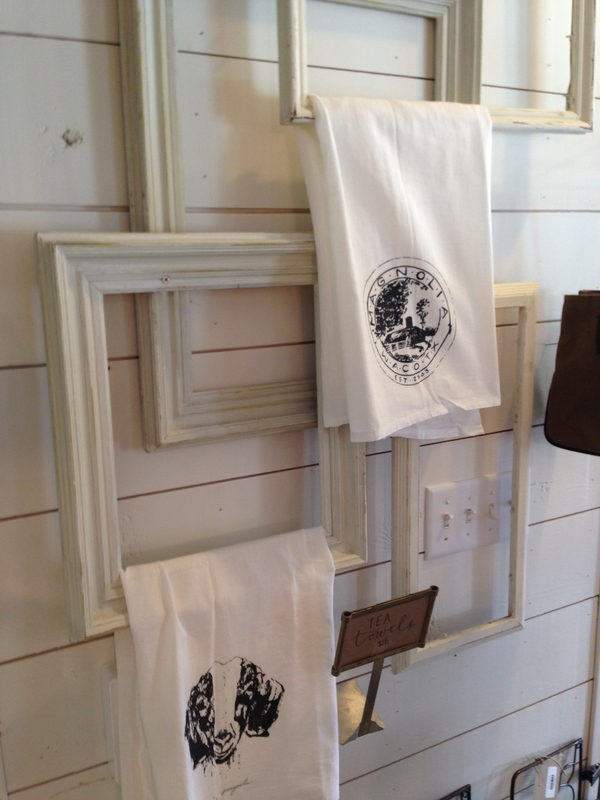 Here are a few pictures of the new store from my phone and few of my Magnolia Market purchases. I am off to get ready to see the second episode of season 3 that comes on tonight at 9/8c! I use to spend all my free time watching shows like Say Yes to the Dress. Soon after I got married the next season of life kicked in and I find myself watching HGTV frequently. I have recently become obsessed with one of their newer shows, Fixer Upper. There are so many things that I love about the show and the fact that it is filmed in Texas is the cherry on top. The show follows a husband and wife duo, Chip and Joanna Gaines, as they transform their own farmhouse and other homes in the Waco area. The team makes miraculous transformations and have a fresh industrial-farmhouse style. 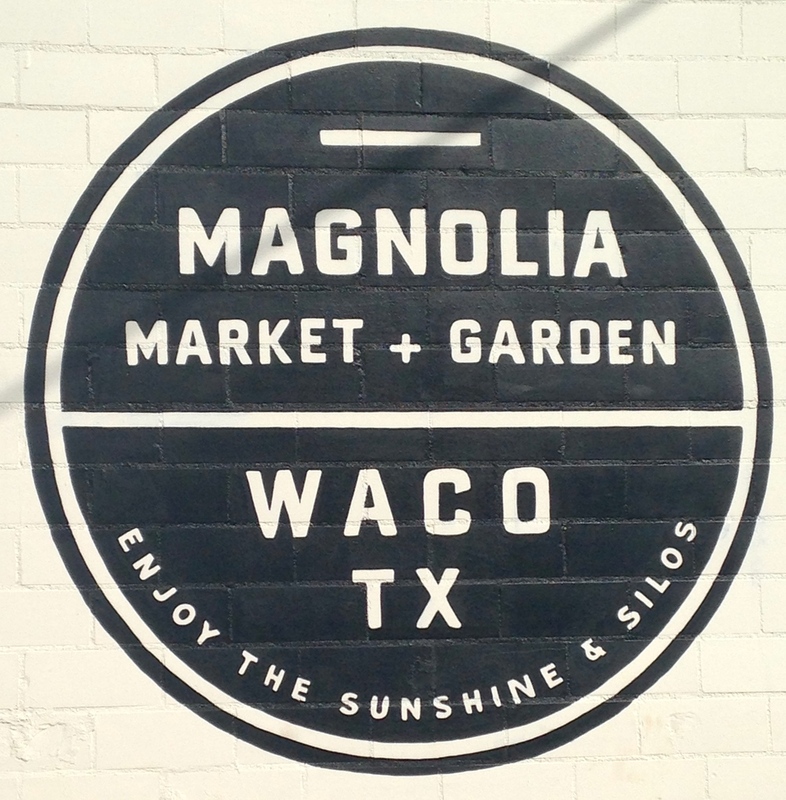 This weekend my husband offered to take me to Waco to visit their store, The Magnolia Market, and see one of their homes. I was thrilled about our random road trip to Waco to spend the day. 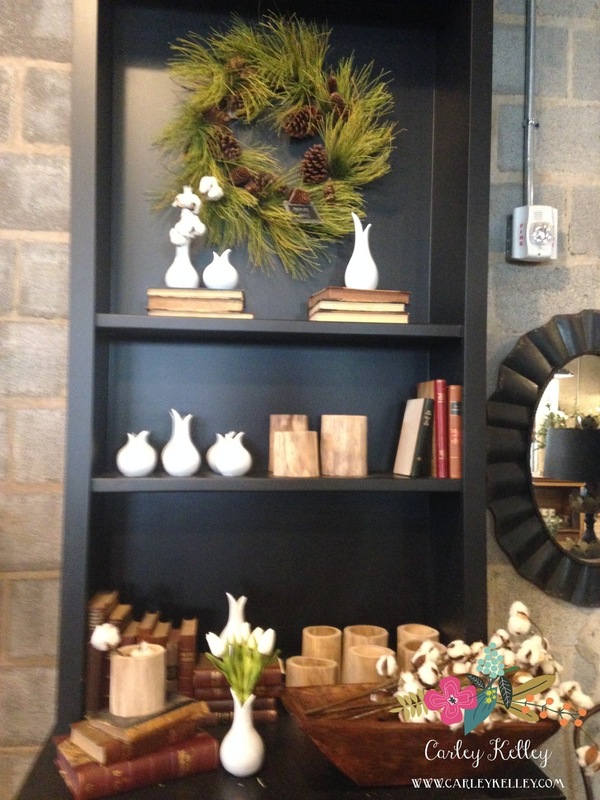 The market was a small space filled with Joanna's industrial-farmhouse style from head to toe. I was able to snag the last shirt they had in stock with a cute little goat on the front. I love the way that Joanna incorporates a lot of greenery when she styles the homes on the show so I purchased two artificial spring wreaths and a few faux succulents. While we were in Waco we drove around and found a few of the houses that were featured on the show in the Castle Heights area. When I got home I was not sure what I was going to do with the two wreaths. Sunday after church we stopped by JoAnn's and I found a cute frame with chicken wire on it and thought they would look cute over it. 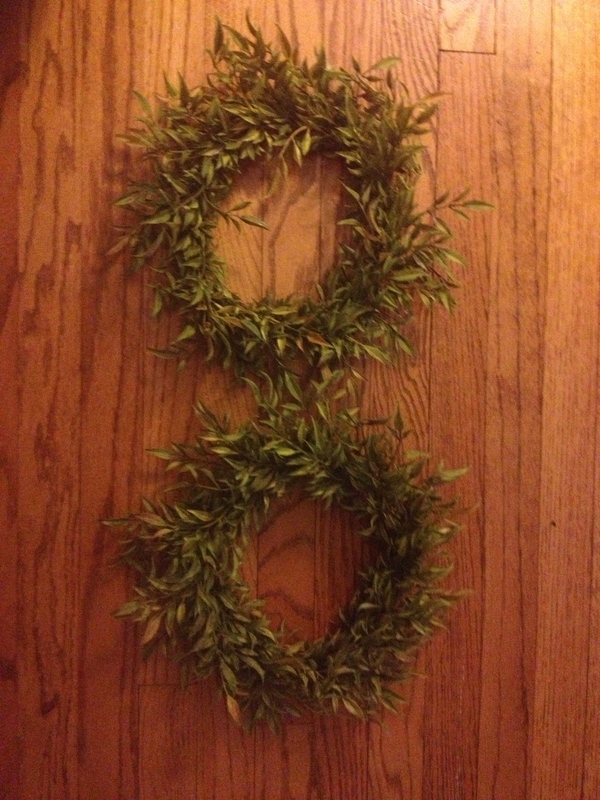 I snagged two and painted them later that night and tied the wreath in front of it. It is simple but I am very happy with how they turned out. If you have not seen the show, watch it! You will instantly fall in love with the Gaines family. I can't wait until the next UT game my husband wants to go to so that I can make a pit stop by Magnolia Market on the way.